Later today, Mondo will be releasing a fantastic new movie poster for John Carpenter’s iconic Big Trouble In Little China by Phantom City Creative, which also doubles as the album cover artwork for Mondo’s release of the film’s soundtrack on vinyl. 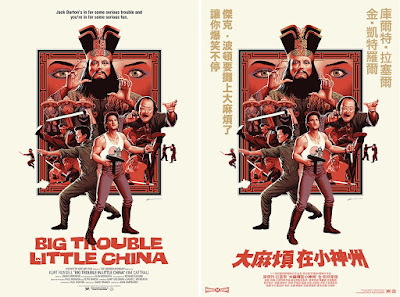 PCC did a fantastic job designing this movie poster for Big Trouble In Little China, which has a very retro feel to it. Fans of Carpenter’s classic movie will definitely not want to miss this one! 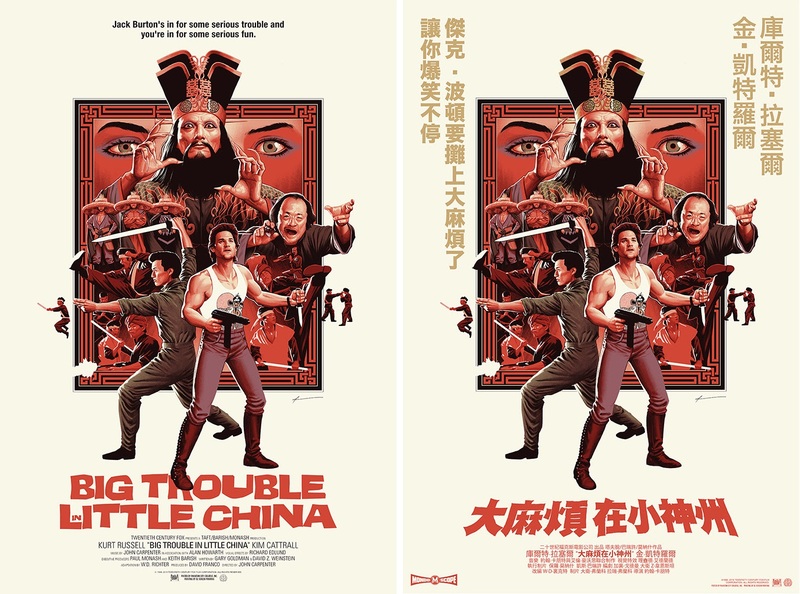 Big Trouble In Little China by Phantom City Creative is a 24”x36” hand numbered screen print. The Regular Edition is limited to 275 pieces and will retail for $55, while the Variant is limited to 150 pieces and will retail for $75. Both versions, along with the soundtrack and two different officially licensed enamel pins, will go on sale at noon CDT today, Wednesday, August 1st, at the Mondo online store.